A quick loan is a type of loan that is provided by the lenders for a short period of time. Usually, the amount of such loans starts from ₹10,000 or ₹20,000. The process is faster because of the less paperwork, quick background check using your social profiles is involved. The users can apply for a loan online via quick loan app. In other words, these loans are type of a personal loan and also known as money loan. The process of applying for a quick loan with personal loan app is quite simple. Download the loan app on your smartphone via Google play store or Apple app store. Register yourself on the app by adding your basic personal information. Once you complete your profile move towards adding the loan details. You can take a loan ranging from ₹10,000 to ₹1 to 2 lakhs from a money loan app. The duration available for such loans is mostly 15, 30 or 90 days. After entering your details upload the required documents on the personal loan app itself. Submit your loan request, the app will then take some time to review it. Once your loan is approved, the loan amount will be transferred to your personal savings account. There are a few documents which you need to submit to the quick loan app. These mainly include your identity proof, address proof, and income proof. You can submit a pan card, passport, driver’s license or aadhar card. For your address proof, you can submit your utility bills, passport or rental agreement. As income proof, you need to upload your bank statement and 3 to 6 months’ salary slips on the money loan app. If you are a business owner, you have to submit your business ownership documents, business profit and loss statements and utility bills of the office address. You can avail a loan from such lenders if you are a salaried employee or business owner whose business is in existence since past 3 years. Your age should be between 23 years to 58 years old and you should be a resident of India. On the due date of the loan, you can repay the quick loan app via bank transfer or by depositing a cheque. The entire process of the application takes 15 to 20 minutes. You don’t have to visit any branch or submit documents physically, you can apply for a loan from any part of the country as long as you have a working internet connection. You don’t have to showcase any asset ownership as these are unsecured loans. The interest on your loan depends on the duration of the loan. The personal loan app can approve your loan on the same day of application. 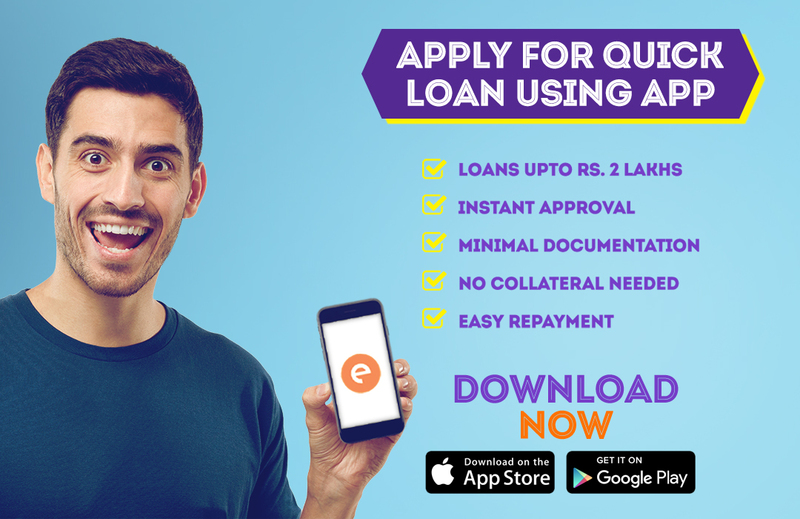 CASHe is one of the quick loan app available in India. You can use their online platform to apply for a loan for instant money disbursal.